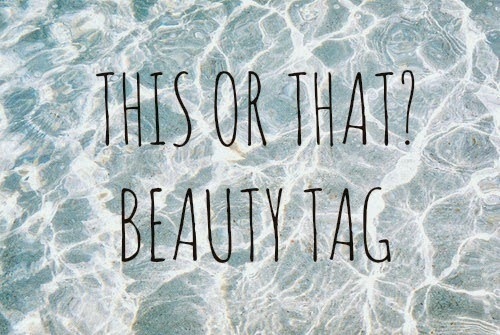 The This or That Tag! I was recently tagged by Maria over on in1997 to do the This or That tag. Obviously I love my tags and I really couldn’t say no! 1. High End or Drugstore? Definitely Drugstore! 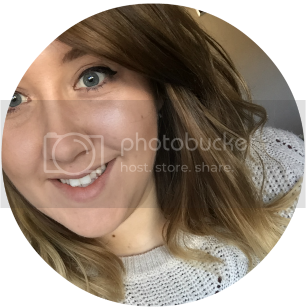 All of my everyday products are things you can easily find in either Superdrug or Boots and I personally think that some of the products are just as good as high end! 2. Straight or Curly hair? My hair is naturally wavy but I would love curly hair! If it didn't damage my hair so much or take forever to do, I would curl my hair everyday. Definitely Summer. I love how pretty the snow can be but you can't beat days out somewhere by the sea feeling the sun on your face! Plus I have a ton of new summer dresses that I can't wait to wear! Neither! I hate hot drinks and will much prefer a cold glass of squash! I know, burn me at the stake now! 5. Late Night or Early Morning? Late night definitely. I hate being up early in mornings and I feel like I'm always rushing around to get ready for work! Weekends are best for staying up later watching Netflix and amazing lie-ins! Definitely YouTube. Unless it's Netflix. That would be a hard decision! Urmm I'm from the West Midlands which is sort of western central so I'd Middle! Flats all the way. I only wear heels when I go out with friends and even then I can't really walk well in them. 9. Night in or Night out? Night in :) If you'd have asked a few years ago, I'd have said Night Out with the girls but there's nothing better than snuggling up on the sofa, ordering pizza with a bottle of wine catching up on our Netflix! Perfect night right there! I'd like to say save but I can't resist a good haul in Primark!